We made the "blanks" for two more carvings. They are cut out from a solid sheet of our making. So, we decided to ask YOU what style of door you might wish. I overlaid the carving on several different style doors for your choosing. 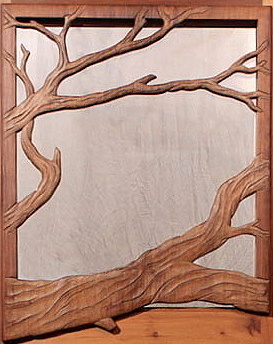 This carving will fit on a 36" or 40" wide door. and if you have another design idea, just let me know.